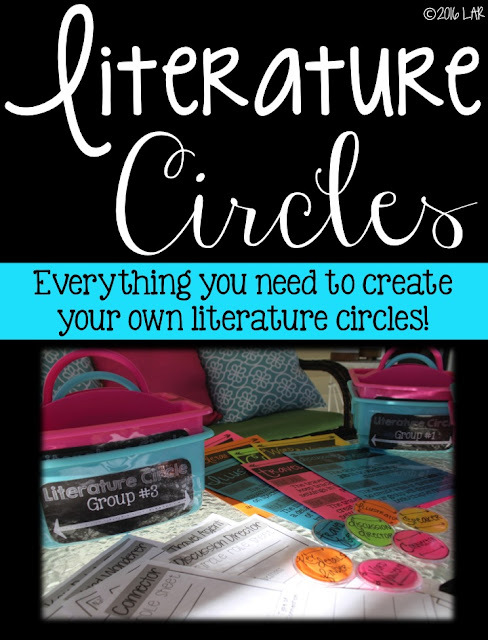 I decided it was time to spice up my literature circles to make them exciting again. 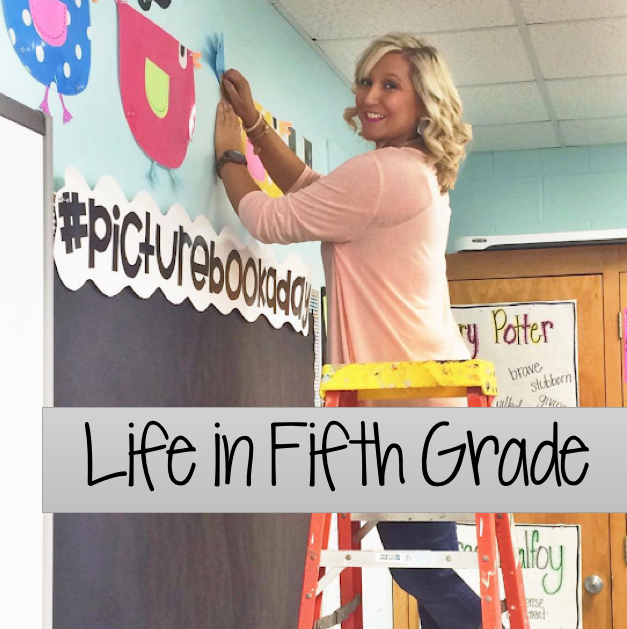 Here's what I did! In order to make the jobs or roles of each student a little more fun, I decided to create little badges for them to wear. You can get the plastic buttons at Michaels or here. Then I redesigned the Job Description sheets. I love the look of just text! 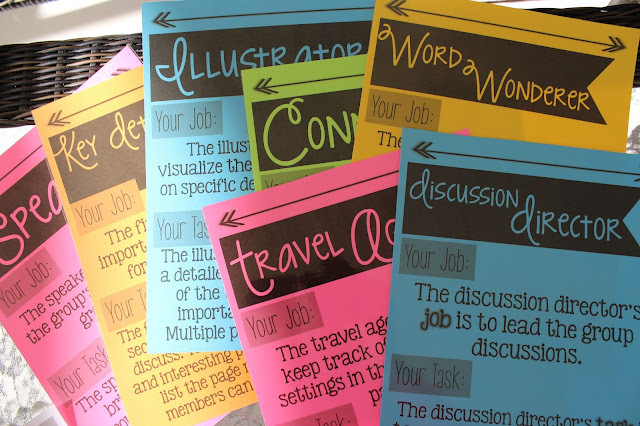 Now, you could just pass these sheets out to your students, but I'm loving the idea of using file folders! I ALWAYS stock up on the Target Dollar Spot file folders and let's face it, I'm always looking for an excuse to incorporate them into a project. I LOVE how well these work out! Simply tape the description sheet to the left and make copies of the role sheet and place to the right. 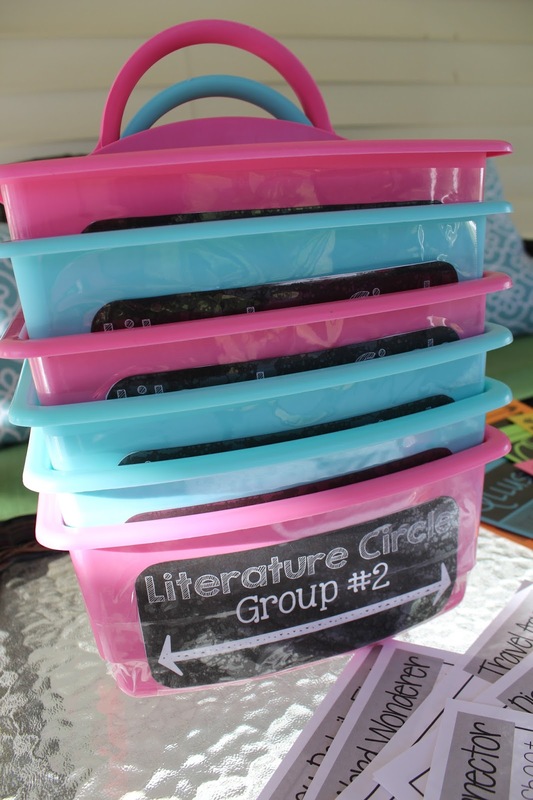 I also decided to create tubs for each group to hold any supplies the kids might need. Of course, I had to make a label! This is just what I need right now to complete my literature circles! I can't get your link to work and I can't find this in your teacherspayteachers! Are you just teasing me? What books do you like to use for lit. circles?